E-mail can be moved early to the trash folder through wrong folder settings. Check the settings of your folders and edit them if necessary. 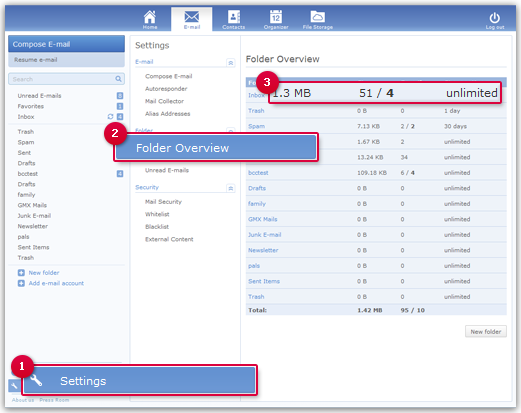 If you want to know how much storage space is in use or how many e-mail are saved in your mailbox, you can open the folder overview. To do that click on Settings in the bottom left corner. Check the size of each folder and the number of saved e-mail.